You know the benefits of digital x-rays — ensure your patients know them, too. 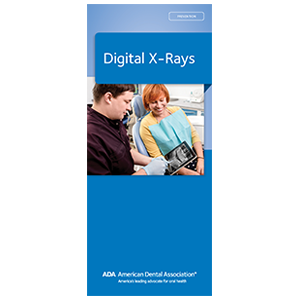 Revised to emphasize the enhanced safety of digital radiography, our brochure touts their benefits, including their speed, flexibility and ease of transmission. Also points out that digital x-rays are safer for the environment. 6-panel brochure, pack of 50.